From a very young age I could not keep quiet about injustice and social hypocrisy. By the age of 10, I knew I wanted to be a journalist to connect the people, report brave stories of those fighting against corruption, women empowerment and more. Right from my days in school I remember standing up for the right and spoke against things that did not make sense. I was never the girl who would just follow the society norms without questioning. 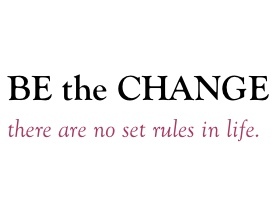 My mantra: Be the change, there are no set rules in life. The only rule I like to follow is of ‘humanity’. Many do not know but I started my career as a crime beat city reporter with Times of India and then came to the United States over 12 years ago and then had a lifestyle column with The Statesman in Kolkata, writing about the lifestyles of the rich and famous South Asians living in the US. My stories have journeyed from Kolkata’s notorious red light districts, NASA breaking news to the house of Bikram Hot Yoga in Beverly Hills, George Clooney and recently Eva Longoria in Houston. I have worked with NDTV, India Abroad, India Express, Mantram. With my niche in ‘Lifestyle’, I also contribute for Culturemap, Yellow Magazine and am a Special Features Correspondent for TV Asia. 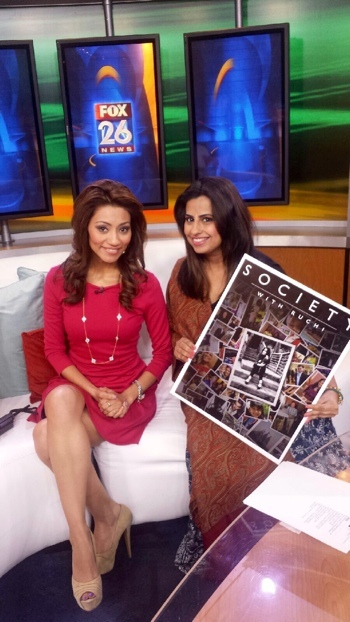 With my many years of experience as a professional journalist I felt the need of an online lifestyle magazine in Houston that caters the South Asian and mainstream community. It was in 2009 that Lights Camera Action Houston Society News was born with the goal to provide a perfect bridge between the ethnic and mainstream communities creating a strong sense of community. I have taken active initiative to volunteer for various non-profit organizations that involve women and children. I came to Houston from India with a dream and plenty of passion. Lights Camera Action is the true personification of globalization. Our International Mothers’ Day Soiree speaks volumes about Houston’s rich diverse culture that kept me going in this land of opportunity. I want to tell the world that India is more than tikka masala, arranged marriages and slum-dog millionaires. India has been proud to have their first woman Prime Minister, Indira Gandhi in the 60s, and let’s not forget that the South Asians are one of the most affluent groups in Houston. With that Lights Camera Action is proud to head to its 2nd year hosting our International Mothers’ Day Soiree May 9, 2014 and this time hosted by Neiman Marcus with a vibrant diverse group of power ladies including Dominique Sachse, Miya Shay, Mehrnaz Gill, Ursaline Hamilton, Rekha Mudaraj, Chau Nguyen Todd, Dr. Vanitha Pothuri, Dr. Huma Nawab Haider, Alex Blair , Miriam Habib, Toni Tate, and the lovely Katie Walthall Mehnert. This fall I will be launching my first coffee table book ‘Society With Ruchi’ An In depth Journey of Houston’s Evolving Society. All I can say is ‘The Dream’ has just begun. Editor’s Note: When I got the call from Ruchi that she wanted me to honor me at the International Mothers’ Day Soiree, I was floored. To walk with and be a part of this great list of women in Houston is simply amazing. I hope you will all honor Ruchi’s dream by plugging into her magazine and looking for the table book out later this year. 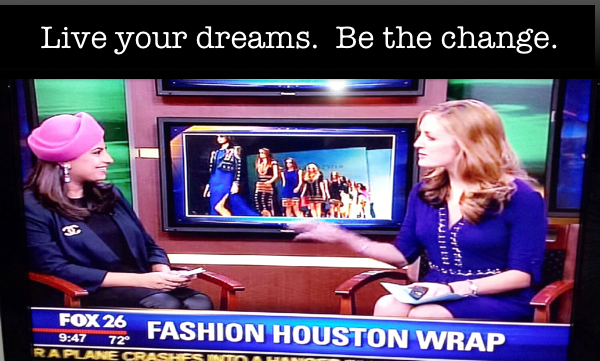 To see her recent interview on Fox 26, click here. Thank you Ruchi for all you’re doing to bring mainstream and South Asian culture together and for reminding us all to live our dreams.